On Friday, the Las Vegas Review-Journal reported that the city of Las Vegas shut down the Endoscopy Center of Southern Nevada. After waiting until six patients had completed treatment, all employees were asked to leave the building and the doors were locked. As mentioned last week, the Endoscopy Center of Southern Nevada was using single dose vials of medication, some of which had become infected with hepatitis C, a potentially fatal blood-borne virus, more than once. Hepatitis C is not the only potential infection that could have been spread; some fear hepatitis B and HIV could have also infected patients, some as far back as 2004 or earlier. In what appears to be an effort to "control communication," the Endoscopy Center of Southern Nevada, which has declined to comment to any media outlet, did not seem short on words this Sunday. They ran a full-page advertisement in the Las Vegas Review-Journal. The advertisement, designed to mimic an "open letter to the public" with the headline “Open Letter to Our Patients and the People of Southern Nevada,” smacks as a near-exact carbon copy of an ill-advised communication disaster attempted by Jack in the Box several years ago. Somebody must have missed that case study. It did not work then. It will not work today. Dr. Dipak Desai offers sympathy but no apology. This opening line says it all. It is so obviously written to mask where the responsibility might reside. This was not an accident. The responsibility lands squarely on the medical director and presumed "letter writer" of the advertisement. “We are also working with third party payers to be sure all our patients who need to be tested are, and that the costs are completely covered. It amazes me that any company or organization would attempt to promote the argument of denial, despite the fact that the clinic is already proven responsible for the infection of several patients. In addition, the attempt to portray itself as a good public citizen by setting up a foundation reminds me of post-crisis measures employed by Jack In The Box, which they only implemented after sustaining a loss of $20 to $30 million. "At the same time and without making excuses, I think it’s important for the public to know that the chances of contracting an infection at our center from 2004 though June 2007 were extremely low. Of the six cases reported, it appears one exposure took place in July 2007 and five on Sept. 21, 2007. Regardless, if you were a patient at our facility, I encourage you to get tested. The six cases mentioned were those that prompted health officials to conduct an investigation, and not the results of 40,000 tested. Worse, this closure attempts to use the number of confirmed infections as a tool toward exoneration, as if six patients who have been confirmed infected are less significant when compared to the 40,000 that have yet to be tested. What it also neglects to mention is that health officials are also concerned, however, that even more patients could have been infected prior to 2004 when the clinic operated under a different name. Not everyone is taken by these controlled statements. As expected, one local law firm, Craig P. Kenny & Associates, ran a full-page advertisement in the same section. Its advertisement encourages patients to contact the firm to discuss legal action. While heroes are seldom found during a crisis, there is one clear hero in Las Vegas. Quest Diagnostics, which is completely unaffiliated with the Endoscopy Center, is the first business to offer to test patients for free. The offer from Quest Diagnostics to provide this community service came after the Endoscopy Center was slow to offer the same and after another health care provider, one that sent overflow patients to the Endoscopy Center, shrugged off any responsibility. As shocking as it seems, the Endoscopy Center of Southern Nevada has not made any mention of how it intends to compensate those patients who have been infected nor has there been any comment that seems to demonstrate remorse or empathy. So far, it seems they are content to play the numbers and control an uncontrollable message. "I want to thank the Southern Nevada Health District for bringing this issue to our attention and for its help in resolving it. I am also grateful to the health district for clarifying erroneous new reports about syringe re-use at the Endoscopy Center of Southern Nevada. The evidence does not support that syringes or needles were ever reused from patient to patient at the center." Keep in mind, this statement seems contrary to staff testimony. And, it does not deny the reuse of single dose vials. I find it perplexing that the center would attempt to play communication games when the facts seem to point to one conclusion: they knowingly employed a dangerous procedure that placed patients at risk. The case makes The New York Times. From an ethics perspective, the general idea is to never do anything that you would not be proud of seeing in The New York Times. We anticipate more national media attention if the clinic continues on its current path. The owners of the Endoscopy Center of Southern Nevada went before the City of Las Vegas today to urge city officials to reinstate their license. The City of Las Vegas responded by revoking the licenses of all other facilities linked to the center, after officials learned that the 40,000 people who need testing might be the "tip of the iceberg." 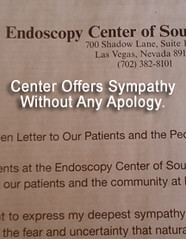 The Endoscopy Center of Southern Nevada has ten days to appeal the decision to the district court. The center, which is responsible for causing the largest hepatitis C scare in the country, continues to communicate denial of all responsibility for its actions. The owners of the Endoscopy Center of Southern Nevada kept reporters at bay today using "strong arm" security. Reporters are prompted to dig deeper, discovering two members have served or serve on the state board of medical examiners, each with several complaints filed against them. Health officials say that they witnessed reuse of single dose vials and these reports were not only tied to staff testimony. City officials now fear the 40,000 that need to be tested might be the tip of the ice berg. As I mentioned last week, more than 1,400 patients treated at the center have no known addresses. The one thing that keeps coming to my mind as I think about this horrendous betrayal by a medical facility is Robert Courtney. What has happened here in Las Vegas is much worse than what Courtney did. But I believe that the reasoning behind both are the same. The bottom line. Profits. In our society we are all pushed to make more, do more. What can measure success more than the almighty dollar? My heart aches for those affected. Nothing will make it right. Hep C and HIV are incurable. There is nothing that anyone can do to make the pain those infected any less. People will call for justice. Justice is as perverse in this country as the obviously afflicted medical communities. Once again, I refer to Courtney. Because he plead guilty, the maximum sentence allowed was 30 years. Civil suits did award billions to the victims, but what success is there in that? Courtney had a wife and child he was supporting. Is it right to put the child into poverty because of the sins of the father? The amount awarded, from my recollection, far outweighed Courtney's actual worth. This takes us to compare with the Goldman family awaiting their judgment from OJ. What will these infected victims do with the money? Some will likely not even see the end of the first trial. I do not mean to be heartless. I certainly do not mean that those responsible should not pay. A full investigation needs to be performed to determine exactly who decided that syringes were too expensive to re-order. I would be surprised if this decision was made by Dr. Desai. Most likely this decision was made by a loyal and over zealous nursing manager. I am most definitely not allowing Dr. Desai off the hook, either. No one under his management would have gone to such lengths without his direction to increase profits. You then need to consider that the nurses providing the injections must have been aware of the re-use of syringes. Do we punish those who were actually delivering the death sentence, as they were simply following orders. Many times throughout my life I have simply done as I was told by my supervisor, even though I have disagreed with the logic behind it. It will be very interesting to see who all is held responsible for this tragedy in Las Vegas. Great piece Paula. And a great analogy. What differs here is that Robert Courtney had the good sense to plead guilty. He was sentenced to 30 years in prison. The victims obtained a $2.2 billion civil judgement against him. Dr. Dipak Desai has no intention of admitting anything. He seems content to play communication games, continuing to say that the practice did not reuse syringes, when in fact they did. By all accounts, they would reuse a syringe on the same patient, thereby contaminating the single-use vial, which was then used on the next patient. The clinic was so cheap that if they could not draw additional medication out of the single use vial, they would "top off" the next new vial, thereby contaminating the next and so on and so forth. Truly, this may go down as not only the worst hepatitis C scare, but the worst crisis communication handling as well. They have a spokesperson who is not allowed to speak and an outside expert who took it upon herself to conduct one of the worst interviews in recent memory. 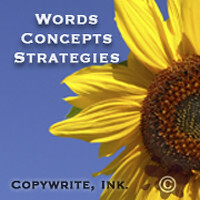 I don't have enough time in the day to write about every communication misstep. There are literary too many ... to the point where if I were to write up what they have done right, there would be nothing to say. Suffice to say, this is becoming the largest laundry list of what not to do that Desai will likely write himself into immortality in medical textbooks and communication textbooks alike. I'm likely going to touch on something later today that keeps resurfacing: what didn't anyone stop this practice from occurring? Unfortunately, it's as plain as the noses on our faces. Do not write of Dr. Desai yet, Rich. This is all very new yet and all implications are just coming to light. Robert Courtney denied any wrongdoing for quite sometime before he astonished his victims with his guilty plea - if he had gone to trial, I believe they would have included attempted murder and would likely have gotten a life sentence. Once Desai realizes what he is facing, he may likely be in a similar situation. Unfortunately these types just want the easy way. Let's hold on to Desai's claim of innocence for now, he may very well change his mind. 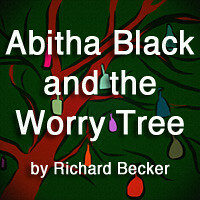 Thanx for adding just who Robert Courtney is - I was still drinking the morning coffee when I wrote that this morning!! For this being a communications disaster - is there truly any way to put a positive spin on something like this? I'd love to hear your opinion on that!! It's not about positive spin. It's about doing the right thing. Read Friday's post and you'll see how handling some of this differently could have minimized damage. Also, he isn't "innocent." Staff already gave testimony that he instructed them to follow these procedures. In no way did I mean to imply he was innocent... Just that innocence must be his mask at this time. I suspect that he is also a control freak, which is why he is refusing to accept any guilt at this time. He is likely hoping to find a scapegoat before he will have to face any penalties himself. I am very glad to hear that his underlings have already testified that these were his orders. After just a bit of Googling, I see that the Endoscopy center is not Desai's only tie to a medical facility. It seems that two others were shut down yesterday and one was closed in Henderson this morning. Looking at this from a business/law type of situation, it was definitely in Desai's best interest to not admit to the wrongdoings. As the daughter of an RN who used to run Emergency Rooms here in the KC area, I am very happy to see that the Nevada Nursing Board is also doing some investigations. The nurses should have stopped this before anyone was infected. Yes, Desai (at this point I refuse to call him Dr.) being a primary shareholder should be held responsible, but then again, there are others who should be held equally responsible. I do not condone anything being done, but I do see that by offering to pay for the testing, he would basically be admitting to guilt. Also, the testimony of others, at this point is not enough to convict. Unfortunately, in this case, we are still in the USA where a person is presumed innocent until proven otherwise. Also, please know that I have found this to be a very interesting and thought provoking discussion and on a personal level, I'd like to see him injected with each of the syringes that were recycled, to ensure he would contract something. The rest of the punishment I would prescribe should probably not be posted publicly! The sad part is that they only offered to pay for testing because they were shamed into it. Even then, it will take weeks before set up a foundation. Would you want to wait that long? Thank goodness for Quest and now UMC, which has offered free testing without the need for any insurance negotiations or foundations. They simply decided to do it on their own. There are at least six facilities that have been shut down, all tied to the Endoscopy Center of Southern Nevada with different names. The center in Henderson was shut down after staff refused to allow inspectors on premises. If you can believe it. it should surprise no one that, at the very least, one of the doctors involved in this fiasco is east indian. as america lets more of these "educated" retards into this country things like this will become exceedingly routine and problematic. having worked extensively in the far east, and caribbean, countries with large east indian populations, i have, through personal experience, found them to be the most duplicitous, conniving, and morally bankrupt of societies. this doctor, if one would actually ascribe that appellation to someone who would do something this stupid so as to increase his profitability, should have a round strategically placed behind his ear. regardless of the size of the punitive damages awarded in this case, it will not save the people this person, through sheer stupidity, has caused to become infected. I really do not think ethnicity has anything to do with case. As a matter of fact, many of the clinic's partners and nurses are American. So, I am sorry. Your comment is severely flawed, which is no doubt why you elected not to include your name. What happened here is largely unforgivable, doubly so given it's bad handling, but to say it is tied to place of birth is ignorant and off target. I will delete any additional comments such as this. Your resposnse was professional and on target. Perhaps his comments are understandable (but still not accurate) as an emotional response if he is or is close to a victim. If one digs deeper on his post, I DO think there is valid question here with respect to the quality of medical school instruction in a country such as India (where Dipak Desai, majority owner the Endoscopy Center of Southern Nevada was 'educated') as well as the qualifications of the graduates from these third world institutions. Well, I don't know. My understanding is that Dipak Desai had his residency in the United States. Over the years, My family and I have had some really great doctors and not so great doctors. Sometimes where they received their degree doesn't always mean as much as we would like to think. I would like to know if there are any cases of hiv/aids outbreak with this? My husband( of 17 years and 2 children)was a patient of his. Please i dont know who to talk to. There were no confirmed HIV/AIDS cases that I am aware of. I would suggest contacting the CDC because your husband needs to be tested. You might also want to ask his primary care physician, who may have specific instructions about this case.